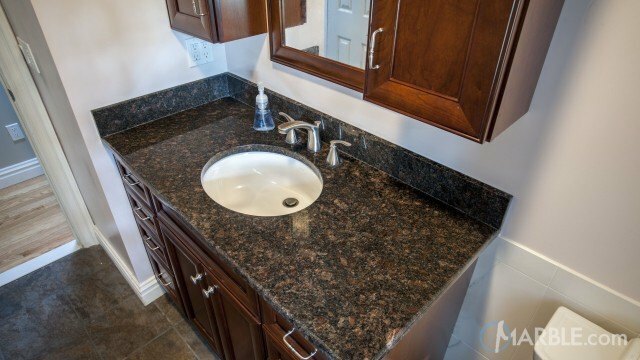 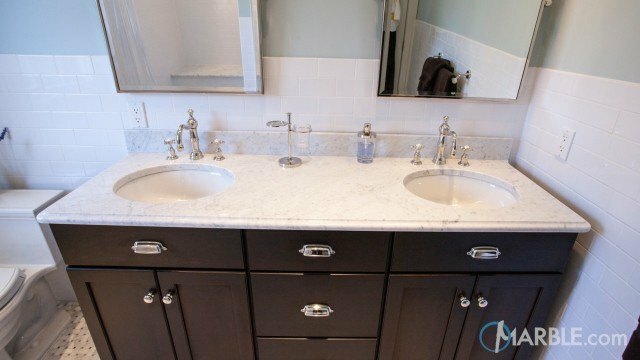 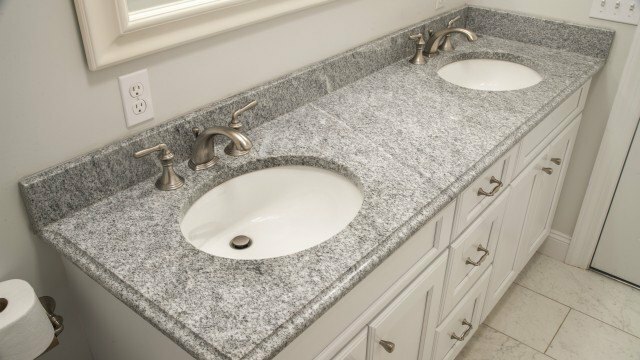 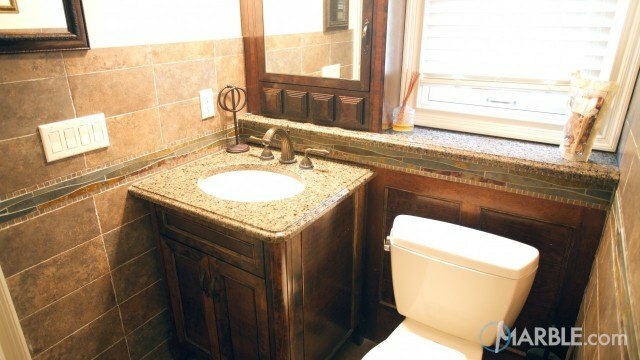 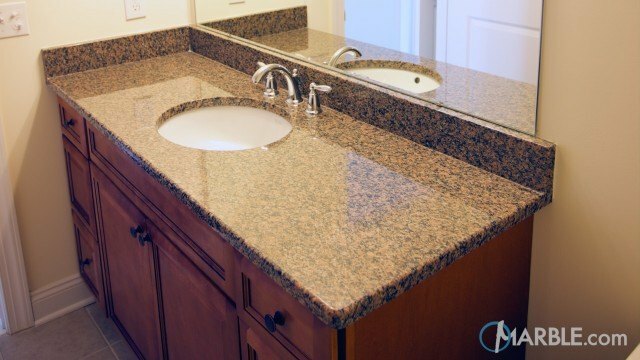 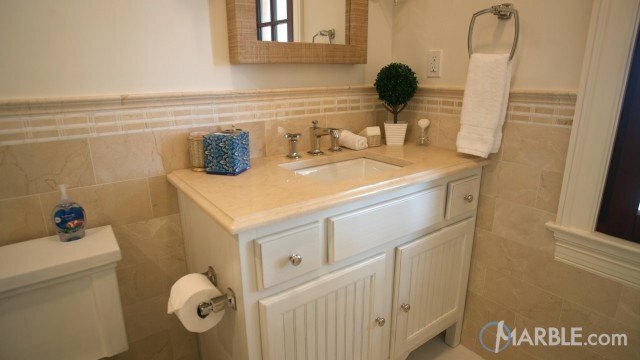 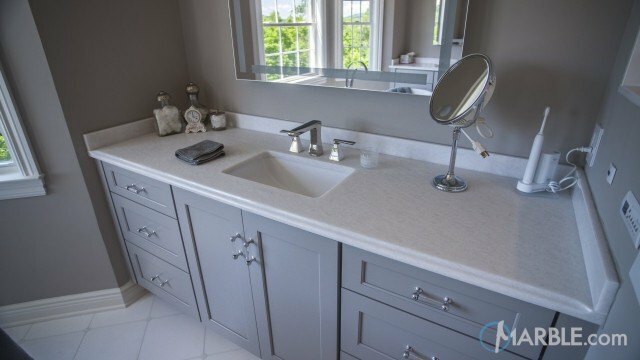 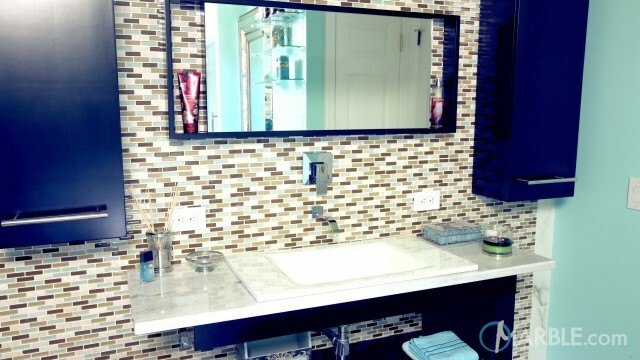 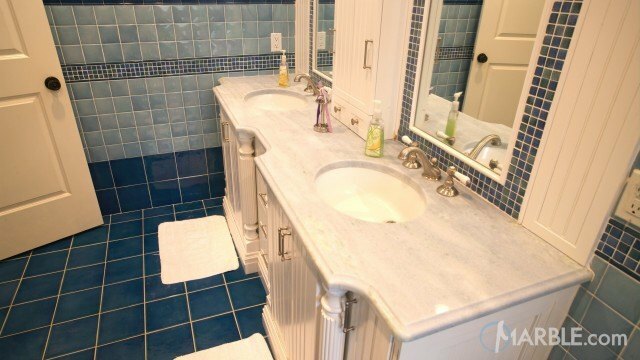 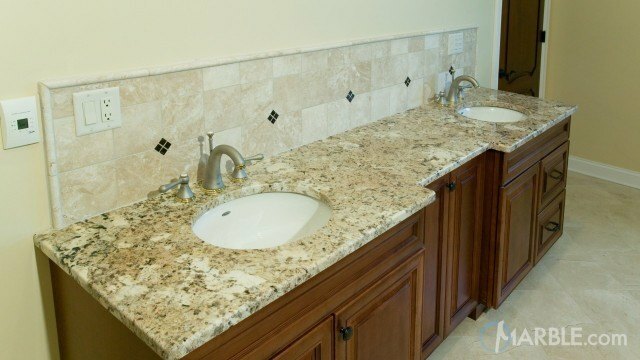 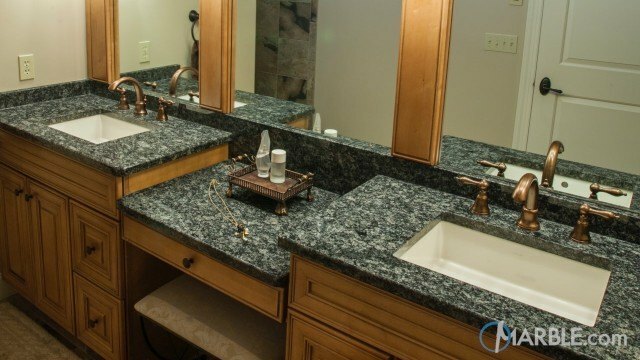 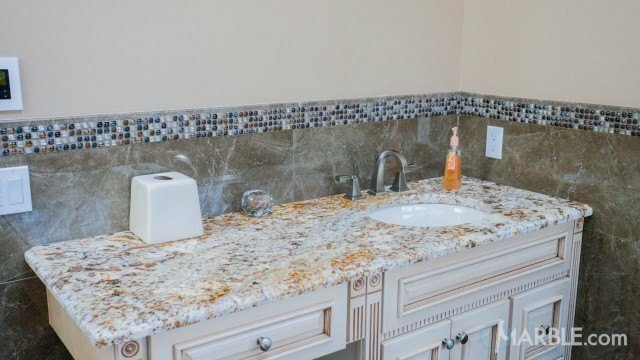 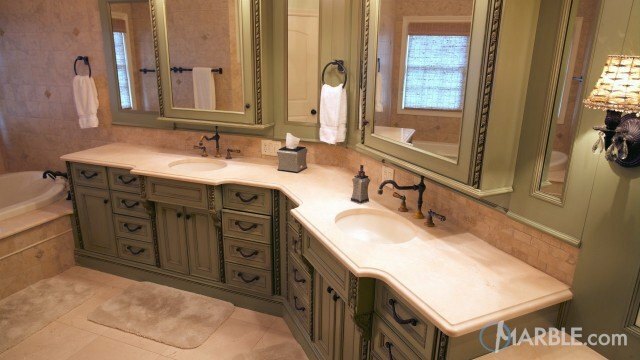 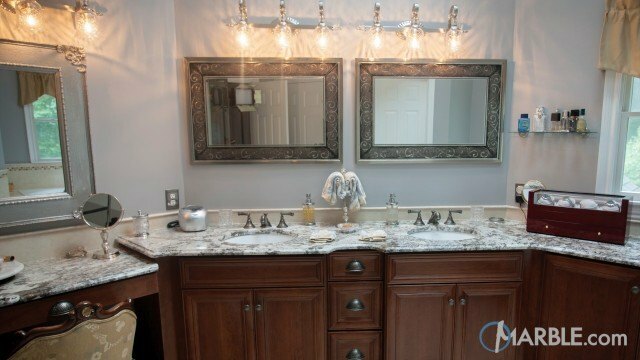 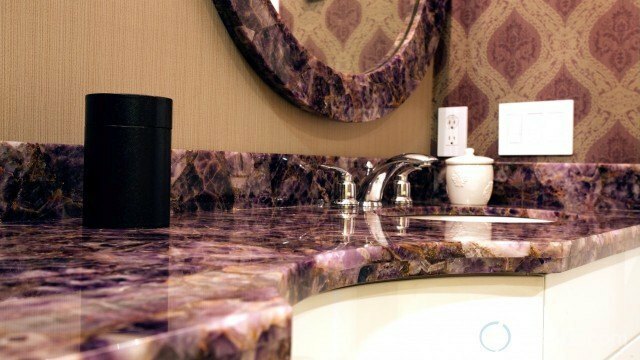 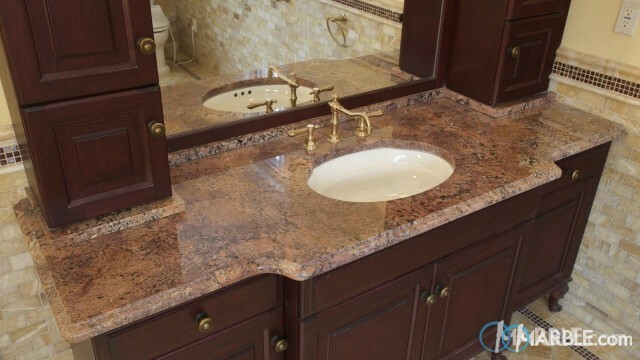 This elegant bathroom vanity combines classic and contemporary elements to create a one-of-a-kind feel. 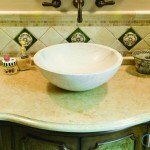 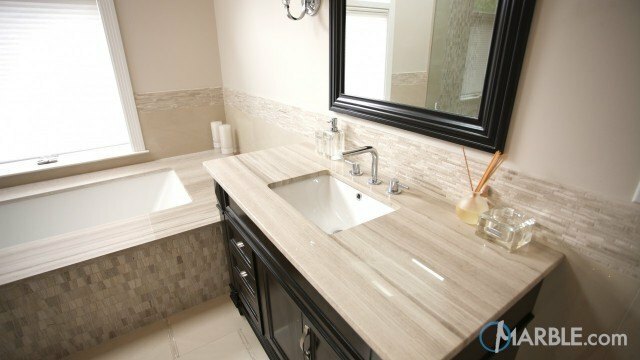 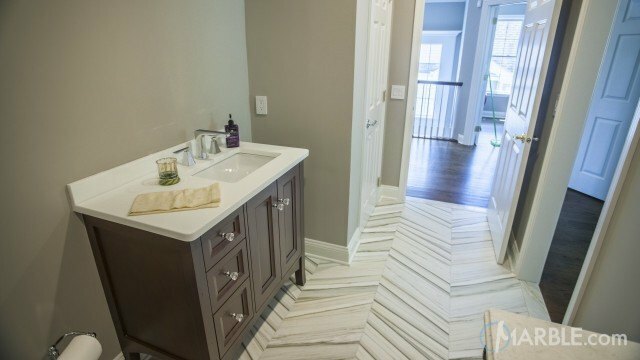 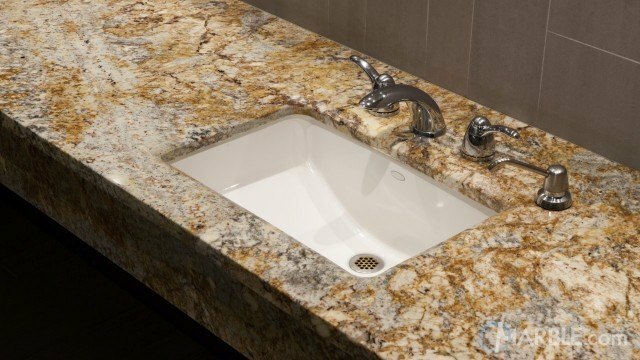 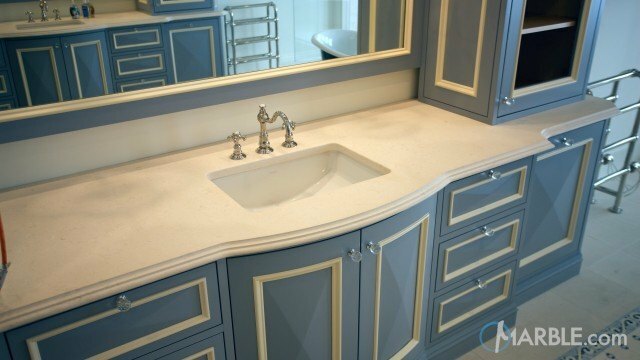 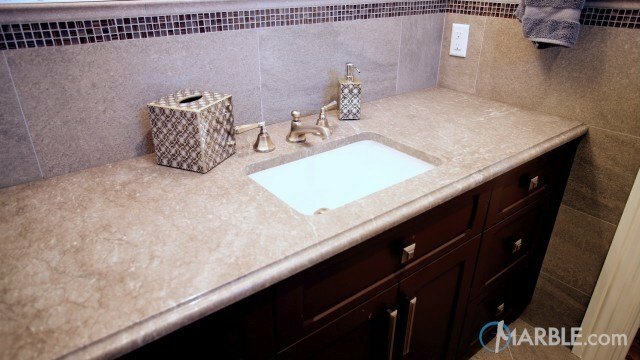 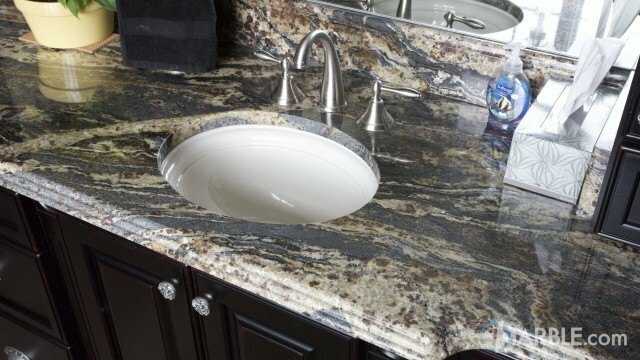 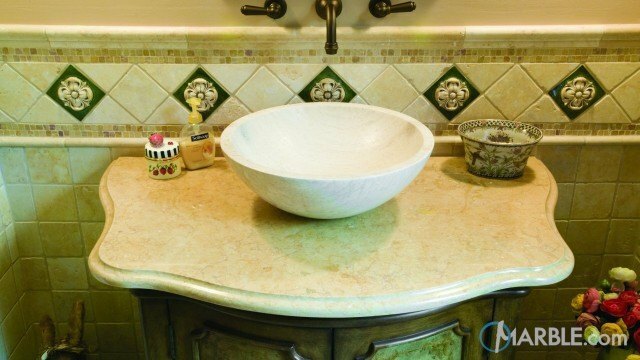 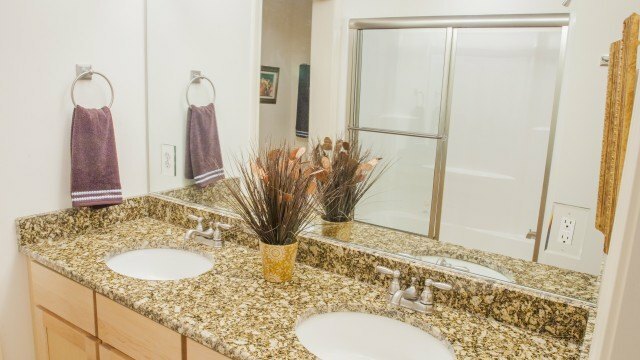 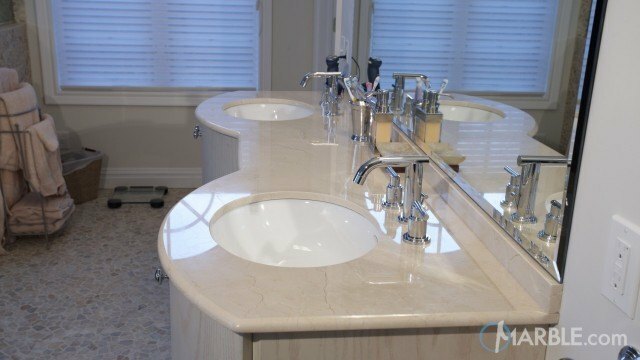 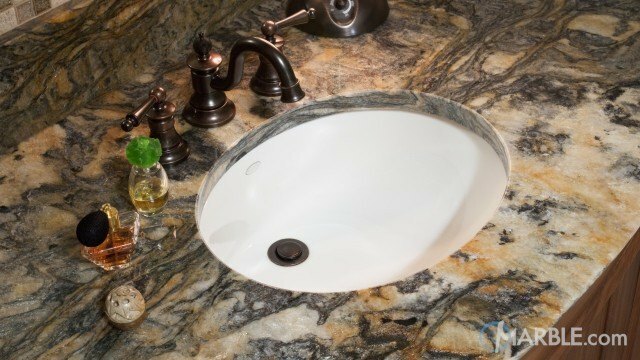 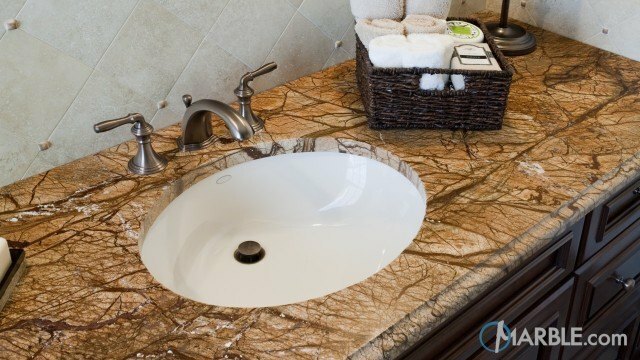 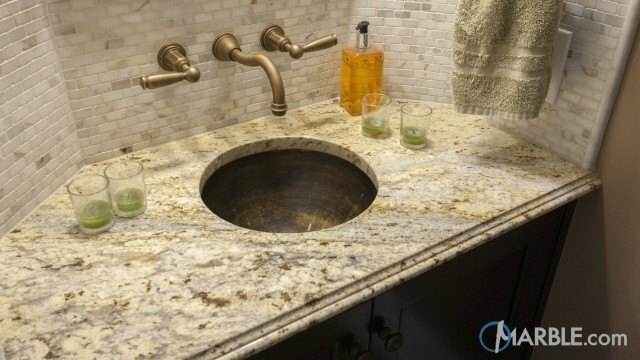 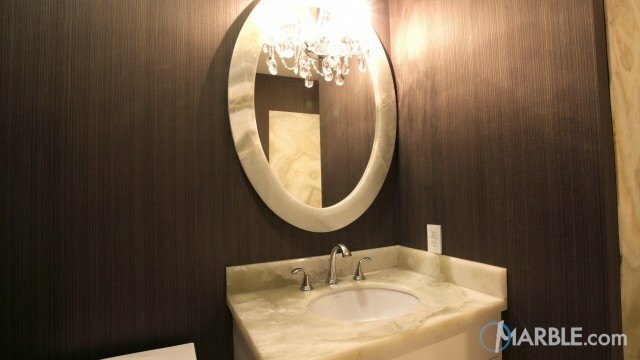 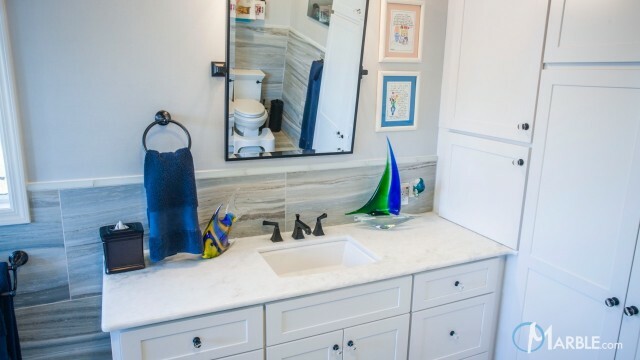 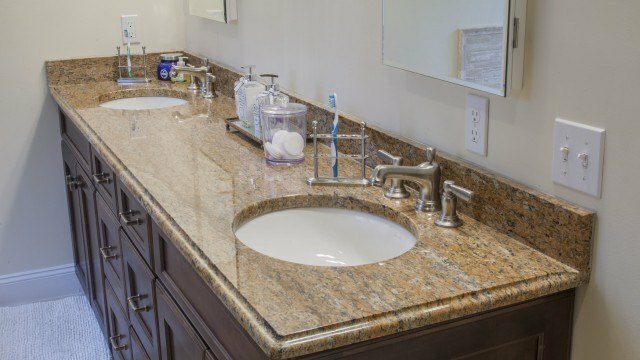 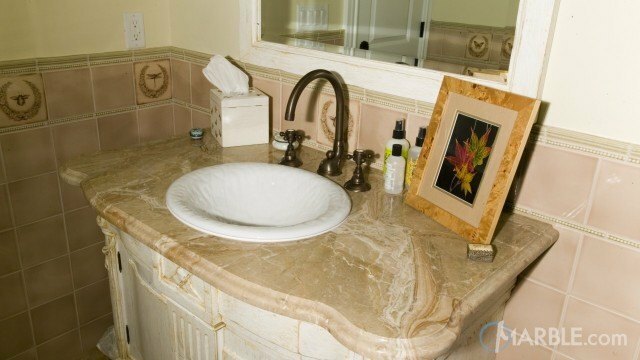 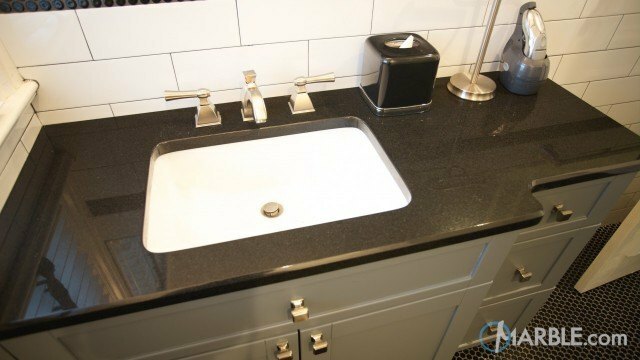 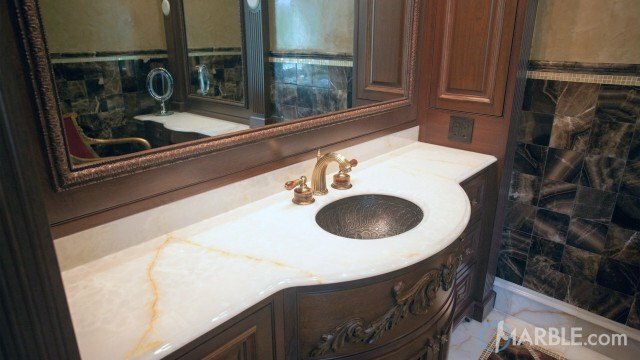 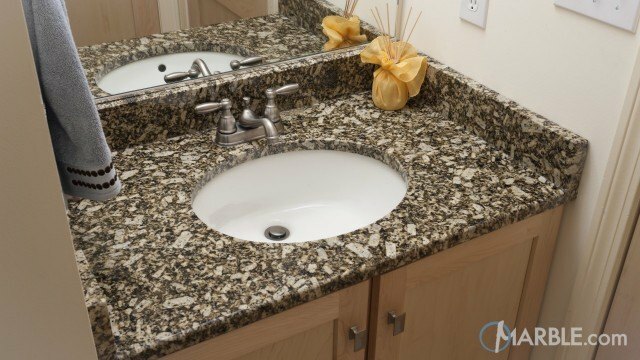 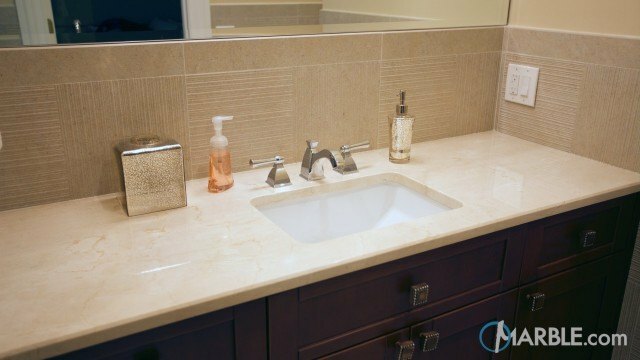 The unique shape of the Crema Marfil marble with an Ogee Edge plays off the custom bowl sink to add a touch of whimsy and majesty to this room. 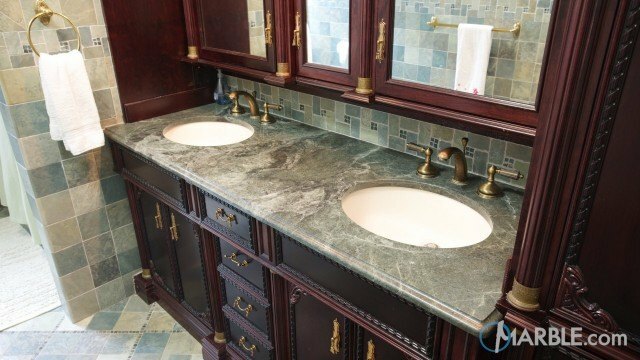 The fixture coming out of the wall adds a modern touch to contrast the ornate tile and wooden cabinetry. 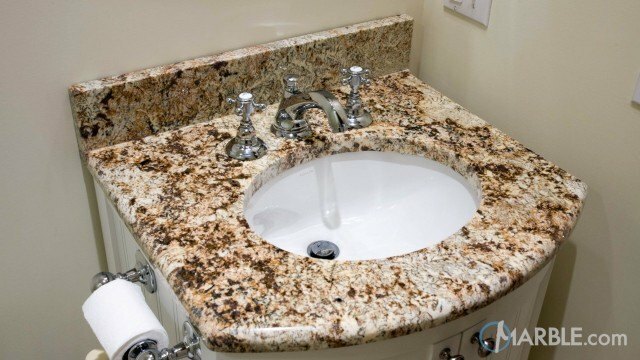 A wonderful addition to this bathroom.